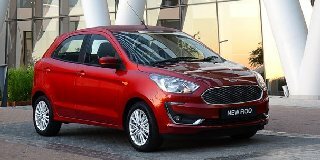 Download the latest Ford Figo brochure and specifications document as well as get the latest pricing for this vehicle. Ford Figo is crafted for quality comfort yet producing satisfying power for an entry level vehicle, it comes in an 88kW with 150Nm torque. The Ford Figo comes in a 6-speed automatic transmission that delivers a quieter operation, less vibration and fuel economy. The Figo also comes in a receptive 5-speed manual transmission. The Figo features a Shift Indicator light on the instrument panel that signal when to change gear for maximum fuel efficiency and assist to make every journey more economical.